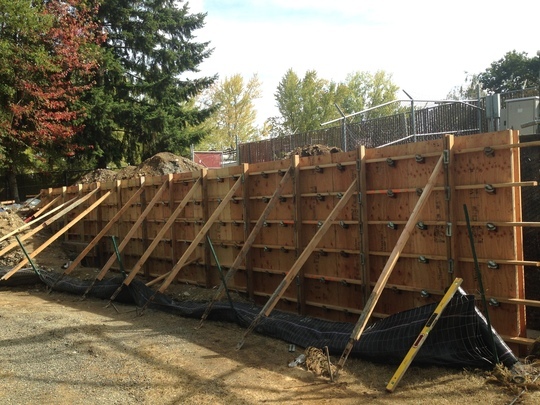 A retaining wall at the Kent Repeater site. 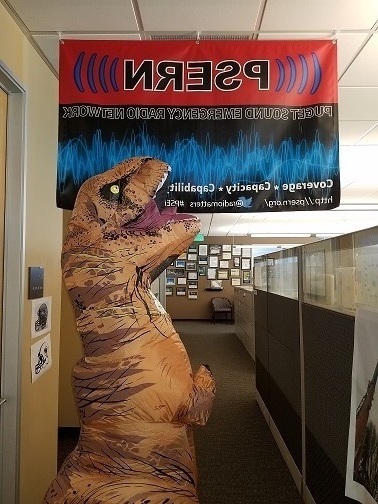 As we move into the fourth quarter of the year, we continue to work hard to get radio sites finished. Recently, we finished rebaselining the project budget for 2018. What does this mean? The purpose of rebaselining is to objectively establish a new baseline and to provide the necessary course corrections to the scope, schedule and/or budget for the project. This practice is not uncommon especially on a project of this magnitude. Many thanks to our vendors, budget analyst and scheduling team for the many hours put into completing a very complex body of work. Although we have made great strides over the last year in various aspects of the project, there are still delays in the project such as site leasing and equipment testing taking longer than anticipated. 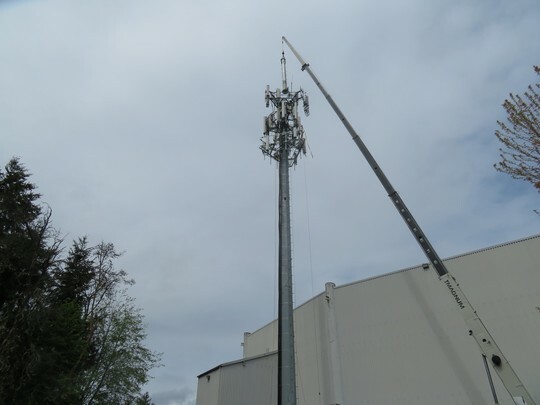 Every project has its challenges but we are confident that with our dedicated hard working staff and continued cooperation from our partners we will continue making significant progress each day on our path to deliver a brand new radio emergency radio system to the King County region. In non-County jurisdictions, the property may be subject to conditions that ensure compatibility with nearby land uses. In this circumstance it will follow a Conditional Use Permit (CUP) process which includes all of the above as well as a public hearing. 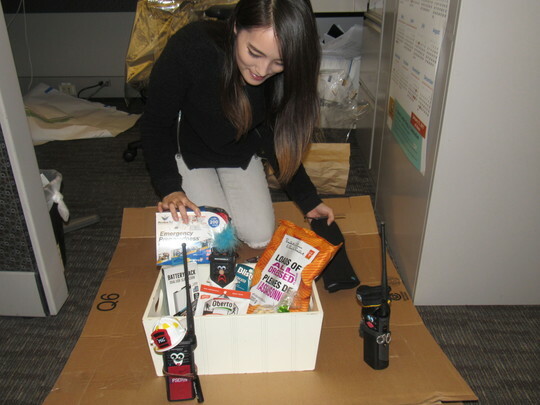 PSERN's awesome Admin III and PSERN team lead for the Annual Employee Giving Campaign, Young Jang puts puts the final touches on a gift basket of emergency essentials. 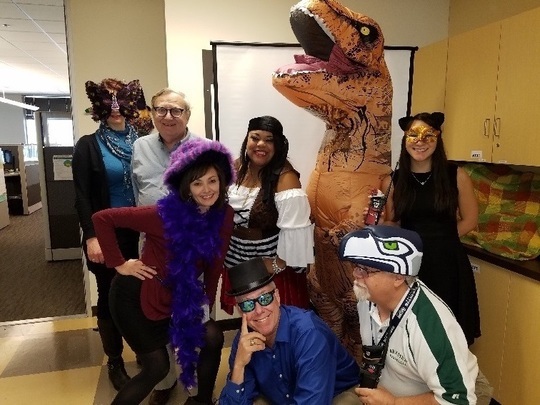 Each year King County Employees are asked to donate to the Annual Employee Giving Campaign. 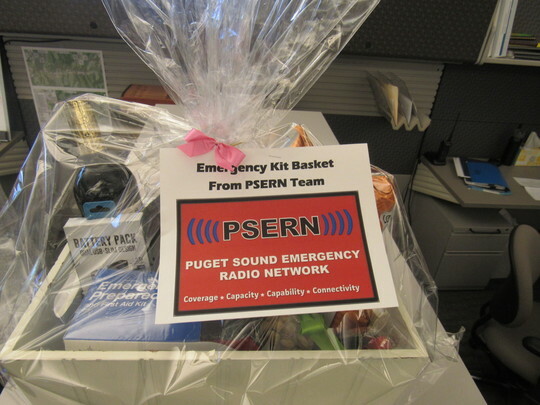 This year for the 2017 King County Employee Giving Campaign, the PSERN team put together an Emergency Kit themed basket! 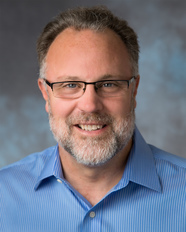 Employees will have a chance to bid on various items and proceeds will go toward the Employee Giving Administrator to make incredible differences in the lives of people that are in need. " I volunteered to lead the effort this year because I believe in giving back, said Young Jang, PSERN Admin III. "I'm so proud of my team for not hesitating to bring in items for the basket", she continued. The Employee Giving Campaign runs through the end of November. PSERN Budget Analyst Valerie Ceban working hard on the budget. 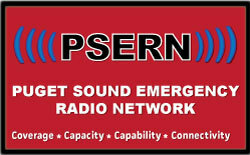 PSERN Mascot Officer Squelch helped out. Valerie is no stranger to King County. She started as an intern with the Finance and Business Operations Division, and quickly moved on to supporting the Director’s Office. 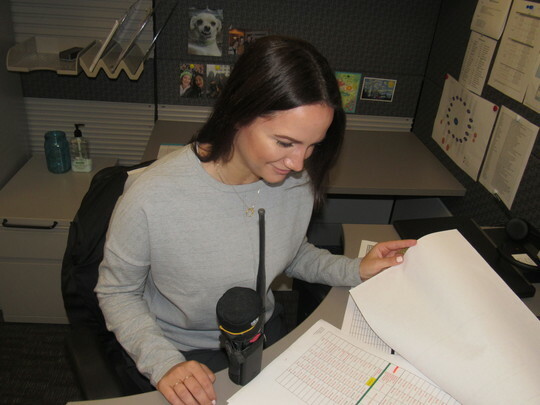 Prior to joining the PSERN team, she was on Special Duty with the Business Insights Team (BRC), assisting in the delivery of Enterprise Resource Planning Business Intelligence applications. Recently, she led the PSERN team efforts for rebaselining and says it was no easy task! “Although my previous experience working on operating budgets has been invaluable in re-baselining the PSERN budget, the complexities of a capital expenditure budget, specifically those of our project, have been a learning experience for me", said Valerie. "The key has been implementing past spending patterns in the estimation of future costs (where applicable), as well as predicting increases based on historical averages", she continued. In her spare time, she has a passion for foreign languages (she speaks 5 currently and working on a 6th) and is an avid traveler. We are so glad to have her on the PSERN team! 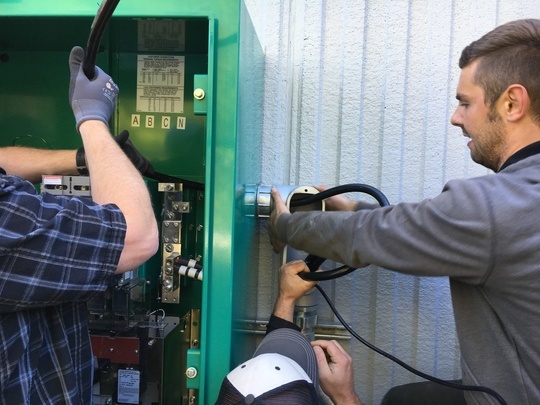 "Swap & Drop" when it pertains to in the radio site world is when a crew removes an existing tower first and then builds a new tower. Typically this is done the other way around. Some of the PSERN gang stopping the daily grind for a pic. Some days on the PSERN project are like this!